FIFA U-17 World Cup 2017: After Neymar, Xavi, Iniesta and Ronaldinho, which new gem would be unearthed? New Delhi: From the planet's costliest player Neymar to 'tiki-taka' kings Xavi and Iniesta to the ultimate sorcerer Ronaldinho, the FIFA Under-17 World Cup has been the cradle for many of world football's household names. India is hosting the 17th edition of the mega-event, the country's first-ever FIFA tournament, from 6-28 October. Before they mesmerised millions of fans of the beautiful game, many of them took the 'baby steps' to stardom by taking part in this tournament. Some of them – Ronaldinho, Iker Casillas, Xavi, Iniesta, Toni Kroos and Mario Goetz would go on to win the ultimate prize in world football – the FIFA World Cup. Ronaldinho played exactly 20 years back in 1997 in Egypt winning the trophy for Brazil, the first FIFA U-17 World Cup triumph for the South American football powerhouse. Casillas took Spain to the semi-final of the same tournament. He was not the team's only star in the making, as Barcelona and La Roja ace Xavi was handling the playmaking duties. 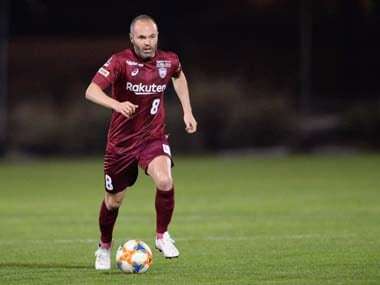 Four years junior to Xavi, Iniesta was the midfield general of Spain in the 2001 edition of FIFA U-17 World Cup in Trinidad and Tobago, along with Fernando Torres. 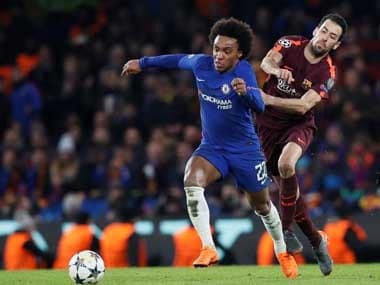 Xavi and Iniesta later paired to mesmerise the world with their now-famous 'tiki-taka' football, forming the core of FC Barcelona and Spain midfield to help the two sides rule club and world football for several years. Germany's Kroos and Goetz are two other names to have won both the FIFA U-17 and FIFA World Cup trophies. The nervous teenagers chasing their big and elusive dreams by appearing in the 'youngest' World Cup were Raheem Sterling, Memphis Depay, Giovani dos Santos, James Rodriguez, Alessandro Del Piero, Nwankwo Kanu, Landon Donovan, Cesc Fabregas, Carlos Tevez, Javier Mascherano, Esteban Cambiasso and Danny Welbeck. All of 17, Neymar da Silva Santos Jr played in the 2009 edition and showed glimpses of his future stardom. He scored once – against Japan – but his country crashed out of the tournament at the group stage. Eight years later, he is the costliest footballer on the planet with Paris Saint Germain signing him for a jaw-dropping $263 million. 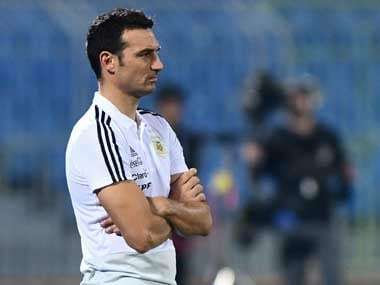 Some like a Marco Etcheverry, who played in the 1987 edition of the FIFA U-17 World Cup in Canada, had to face the ignominy of being ejected from a football field later on. The Bolivian was sent off for infamously kicking German great Lothar Matthaus four minutes after appearing as a substitute in the 1994 FIFA World Cup. Brazilian icon Ronaldinho holds the unique feat of being the only player to have won both FIFA U-17 (1997) and FIFA World Cup (2002) title while Spaniard Casillas is the only one who has won the World Cup as a captain (2010). Ronaldinho spoke eloquently about the FIFA U-17 World Cup, terming it the "springboard" for future stars. "The U-17 World Cup is a very special tournament for me. I was lucky enough not only to take part in the competition but to win it too. I can honestly say that it opened the door for my professional career," said Ronaldinho. 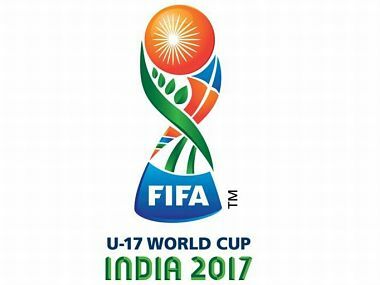 "The U-17 World Cup can be crucial for many players as it marks the start of their careers. Young players dream of making it big, and this competition gives them a fantastic opportunity to make that dream come true. It got my career off to a wonderful start and will always be close to my heart," added the man known for his remarkable dribbling skills. With 97 senior caps and 33 international goals to his name, Ronaldinho made the leap to professional football for Gremio shortly after the tournament in Egypt, before moving to Europe in 2001, where he became a global superstar during spells with Paris Saint-Germain, Barcelona and AC Milan. He won the Ballon d'or in 2005 and is now playing Premier Futsal in India. Another Ballon d'or winner, Luis Figo of Portugal, also cut his teeth in the U-17 event before he became a household name. Out of the several footballers who made the FIFA U-17 World Cup a springboard to their future professional career, a total of 12 played in the summit clash of a FIFA World Cup. And out of these 12, three – Gotze, Emanuel Petit and Iniesta – have scored in the summit clash of FIFA World Cup final. Chouki Ben Saada, Neven Subotic, Victor Moses, Tommy Smith and Hassan Yebda are some of the players who went on to play for a different team (in the FIFA World Cup Finals) from the one they represented in the U-17 tournament. Some of these U-17 World Cup and FIFA World Cup stars are associated with the India event as brand ambassadors of the world football governing body. Among them are Kanu, who held aloft the winner's trophy with Nigeria's Super Eaglets in 1993, while Argentina's Cambiasso participated in the 1995 edition. "The FIFA U-17 World Cup 1993 really spurred my career, there wasn't any looking back. 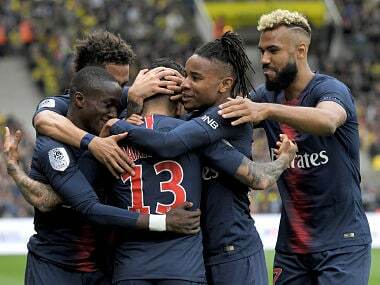 This tournament provides youngsters the necessary stage for development and I believe this year's edition will provide us all with exceptional talent, much like the previous tournaments," said Kanu, who went on to play for the Super Eagles at the 1998, 2002 and 2010 editions of the World Cup. Neither Lionel Messi nor Cristiano Ronaldo played the U- 17 World Cup but another superstar-in-the-making may be playing in the 6-28 October edition. Whether its Vinicius Junior of Brazil, Abel Ruiz of Spain or Josh Sargent of USA, only time will tell. 1FIFA U-17 World Cup 2017: After Neymar, Xavi, Iniesta and Ronaldinho, which new gem would be unearthed?